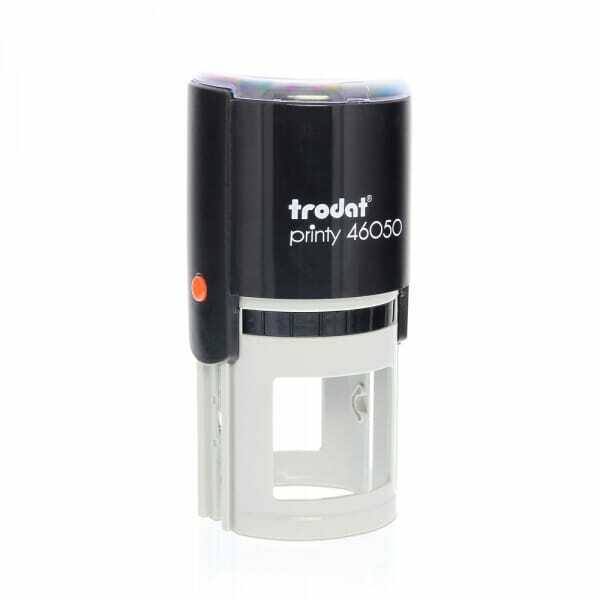 The Trodat Printy 46050 self-inking stamp has a circular impression with a maximum size of 2" (50 mm) and allows up to 10 lines of your customized text. Create a custom monogram stamp using your logo or artwork and our custom design wizard. Great for return address, stamping on stationery, or a gift. The extra large 2" impression area is great for larger stamps featuring more complex artwork. Compatible replacement pads 6/46050 are available in black, blue, red, green or violet. Replacement pads are supplied in multiple packs of three. Customer evaluation "Trodat Printy 46050 2" - 10 lines"